The European Master of Science in Nematology (EUMAINE) is one of the Erasmus Mundus Master courses. The EUMAINE programme brings together some of the European leading Universities and Research Institutes active in Nematology and is offered by a network of 8 partners, consisting of 4 consortium partners and 4 supporting or satellite partners. 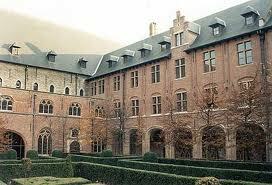 Ghent University is the coordinating university. The aim of the course is to train students to become highly qualified nematologists with multidisciplinary knowledge in the diverse fields of Nematology through mobility to different Universities within Europe and with a well-integrated language and cultural experience. The programme deals with fundamental as well as applied aspects of Nematology and concerns different groups of nematodes in all possible environments: natural soils, agricultural soils, aquatic sediments of freshwater, brackish or marine habitats, temperate and tropical regions. EUMAINE is open to top–level students with a University Bachelor degree (requiring a minimum of 3 years study) in Agricultural sciences, Biology, Bioscience engineering or Environmental sciences. Applicants with another degree but with experience or knowledge in one of these fields may be admitted to the course at the discretion of the EUMAINE Education Board on the basis of academic transcripts, CV and motivation. The applicant must be proficient in the language of the course, i.e. English. Command of the English language is a very important criterion for admission. With the exception of those who have a diploma (Secondary Education, Academic Bachelor Degree, Master Degree) issued by an institution officially recognized by the Flemish Government, applicants must be able to prove their proficiency in English. * a minimum total score of 87 on an internet based test (IBT). 2. Proof that your mother tongue is English. 6. Proof of at least 1 year of comprehensive English-based instruction at a university or recognized equivalent. * TOEFL/IELTS predictive tests are not acceptable. * TOEFL/IELTS test validity is max. 2 years. * Failing to meet these language criteria results in the inability to register at Ghent University and means you will be sent back home ! Please note that you can only apply for 3 Erasmus Mundus Master courses maximum. In case you apply for more than 3 EM Master courses, you will be excluded automatically from the selection for an EM scholarship. * have not carried out their main activities (studies, work etc.) for more than a total of 12 months over the last five years (reference date: 28 February) in any of the above mentioned countries (27 EU Member States, EEA/EFTA States and candidate countries). These grants are awarded to the best students on a competitive basis. Note that the flight ticket to and from Europe will not be pre-financed by the grant. European students can also apply for an Erasmus Mundus grant. The total grant for a European student is 18 000 €. When a partner university outside of Europe is visited the student receives an extra contribution of 3000 EUR. Demikianlah informasi mengenai European Master of Science Scholarships in Nematology, Erasmus Mundus semoga berguna bagi anda.